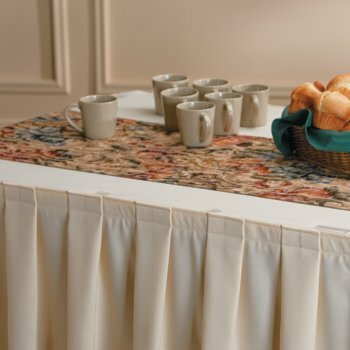 Solana is woven tapestry design is a perfect accent piece for table runners, place-mats and overlays. The Poly/Cotton Blend is fade resistant for excellent color retention. To order, call your Marko representative or call Marko customer service at (800) 654-8210.